PVC is actually a vinyl polymer material whose material is a non-crystalline material. PVC materials are often added with stabilizers, lubricants, auxiliary processing agents, colorants, impact agents and other additives in actual use. It has non-flammability, high strength, weather resistance, and excellent geometric stability. PVC is highly resistant to oxidizing agents, reducing agents and strong acids. However, it can be corroded by concentrated oxidizing acids such as concentrated sulfuric acid, concentrated nitric acid. And it is also not suitable for contact with aromatic hydrocarbons or chlorinated hydrocarbons. Application of PVC: Widely used in building materials, industrial products, daily necessities, floor leather, floor tiles, artificial leather, pipe, wire and cable, packaging film, bottles, trays, foam materials, sealing materials, fibers, etc. Features of PVC: Hard plastic, often used in industrial fields. Toxicity of PVC: When making soft plastics such as plastic wrap and plastic bags, a large number of auxiliary materials must be added to ensure its safety and Eco-friendly. 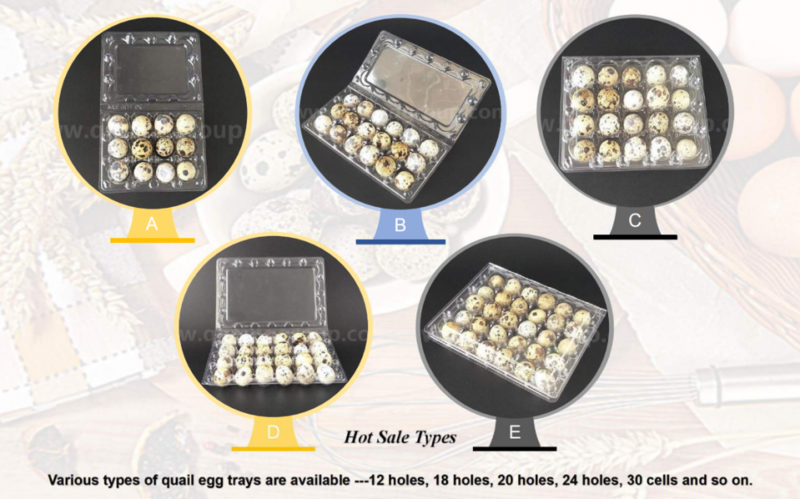 Cost of PVC: Its cost is cheaper than PE, so PVC plastic quail egg trays are very suitable for low-cost quail egg packaging. PE, the full name of Polyethylene, is the simplest polymer organic compound. It is the most widely used polymer material in the world. It is made of ethylene and is classified into high-density polyethylene, medium density polyethylene and low according to density. 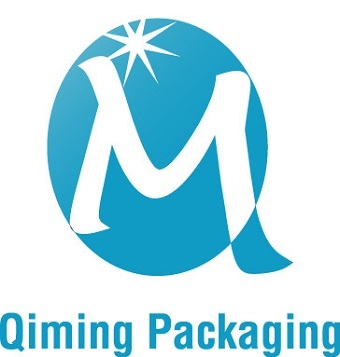 Application of PE: plastic wrap, vest-type plastic bag, plastic food bag, bottle, bucket, kettle, etc. 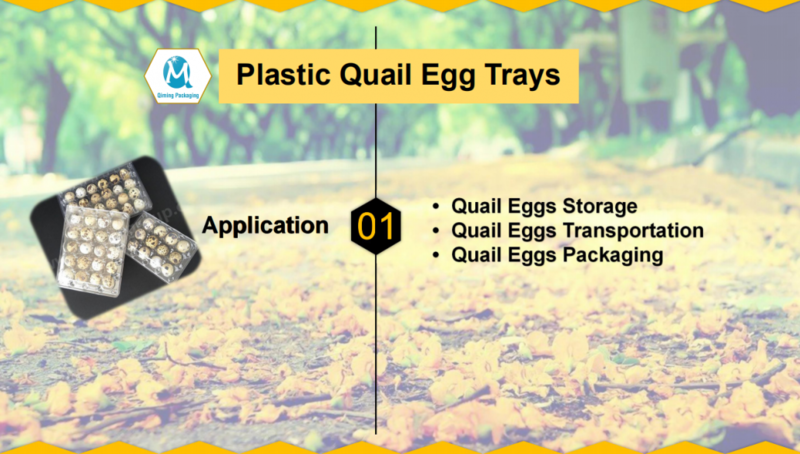 It is suitable for making agricultural, food packaging containers and trays and industrial packaging film, wire and cable coating and coating, synthetic paper. Features of PE: PE is soft and feels waxy. Compared with the same plastic, it is lighter in weight and has certain transparency. The flame is blue when burning. Toxicity of PE: Non-toxic, harmless to the human body. Cost of PE: Its cost is a little higher than PVC. 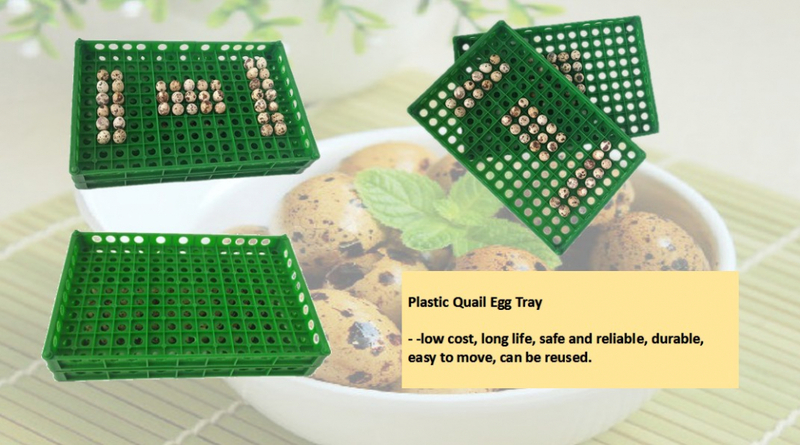 So PE plastic quail egg trays are suitable for long terms of transportation for quail eggs. Reusable and safe, Eco-friendly. Food-grade PVC or PE raw materials: Non-toxic and tasteless, safe and environmentally friendly, could be cleaned in high temperature, repeated use. Exquisite workmanship: Smooth surface, no burrs, we could clearly see the quail eggs. 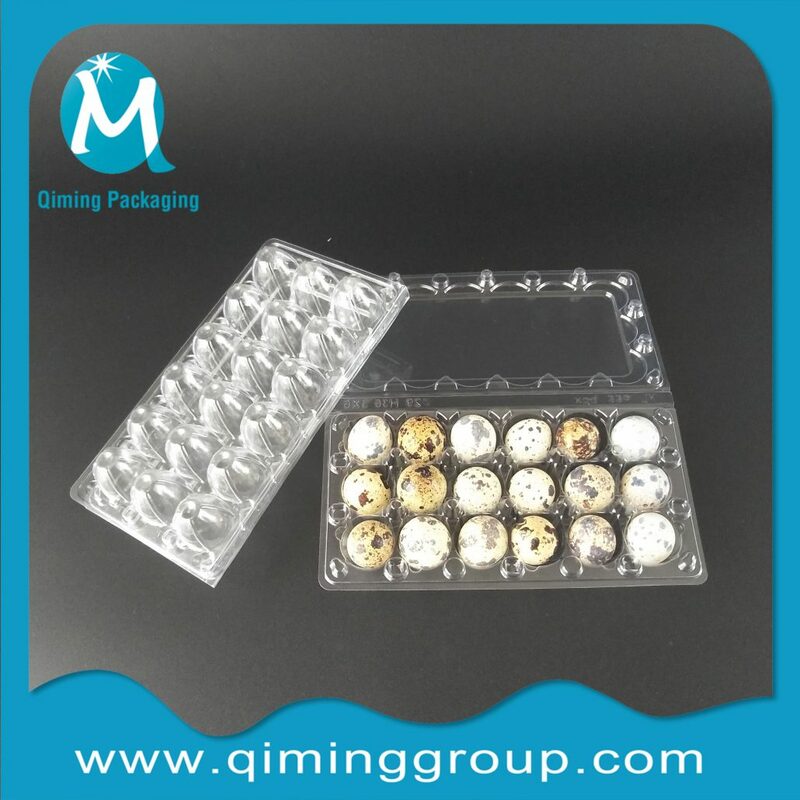 Anti-shock effect: Corrugated design prevents quail egg vibration and effectively protects quail eggs. 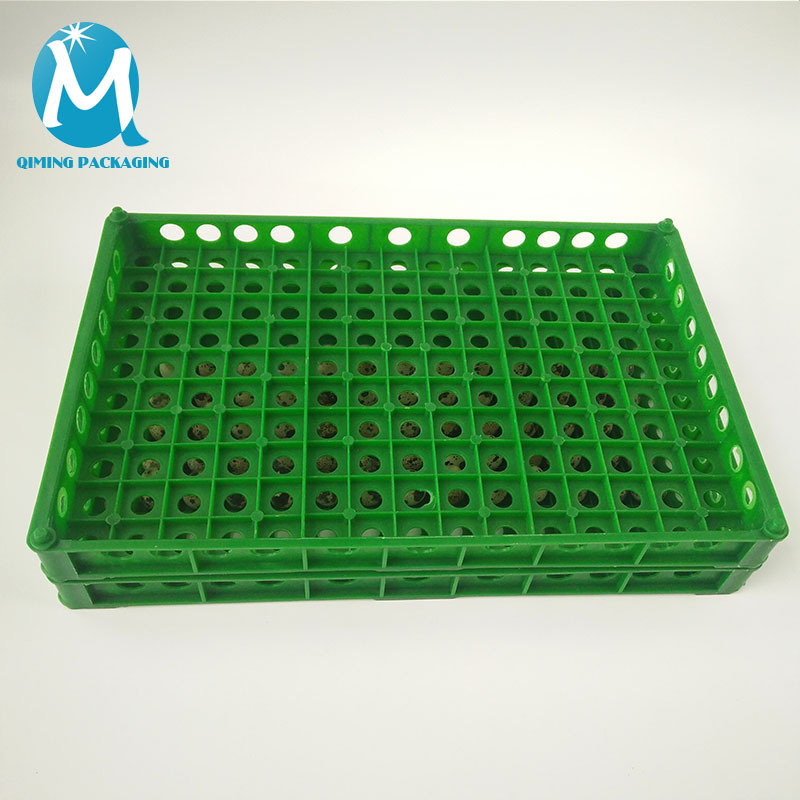 Various dimensions: 12/18/20/24/30/150 cells in stock, other types also be customized. 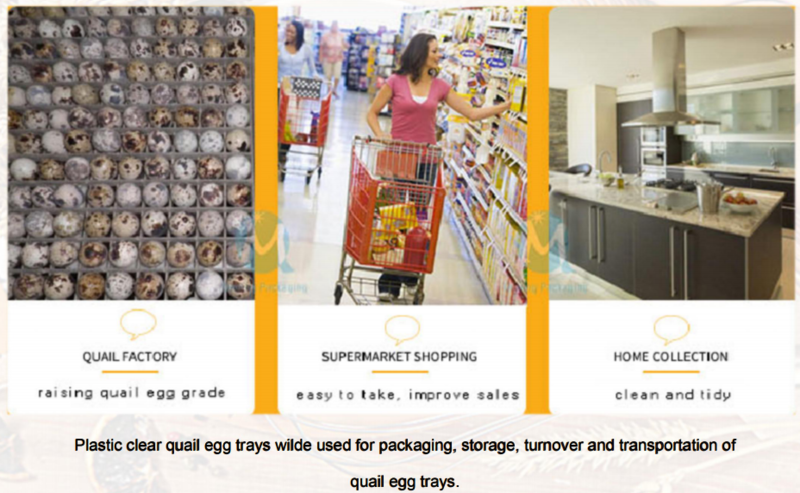 Suitable for quail eggs daily turnover, long-distance transportation, and Incubator use. 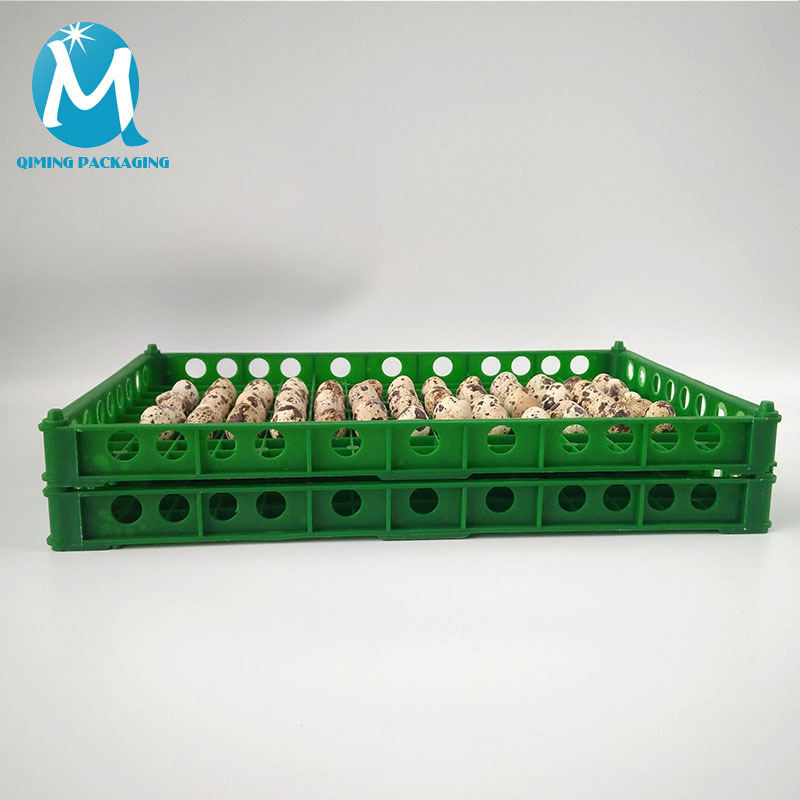 Can stacking the plastic quail trays for many layers, saving space and easy to be taken away.